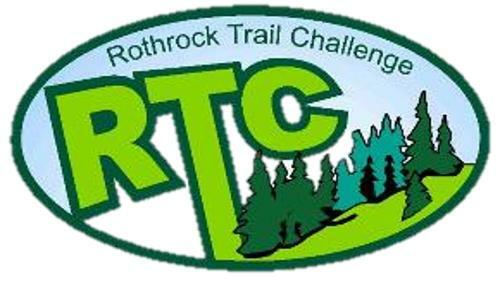 Welcome to the 9th annual Rothrock Trail Challenge. The event is scheduled for Saturday June 3rd, 2017 at Tussey Ski Area in Boalsburg, Pa. Race start is 8am. The RTC is part of Trailrunner Magazine’s Trophy Series. We are honored to have played host to 12 out of the top 12 Trophy Series winners from 2015. Congrats to Matt Lipsey, winner of the 2016 Hyner Challenge, for scorching the course with an awesome performance. We welcome Salomon as the new sponsor for the RTC. Matt Lipsey and team are excited to be part of the event and will be set up at the start/finish area for runners to check out their products. The RTC will take runners and hikers through tunnels of rhododendron, towering Hemlocks, blooming mountain laurel, seas of fern, and mini boulder fields. The 17.2 mile course features mostly single track trails with 3 aid stations strategically spaced about every four miles. The signature section of the course remains the ever daunting Shingletown Gap cliff trail. Even the fastest of runners put on the brakes here as they scramble down through the cliffs with extreme caution. But just as runners had to run down into the gap, they must climb back up the other side. This mile 10 section is usually the breaking point for most runners. But payback is awaiting as runners can enjoy a two mile downhill finish to Tussey Ski area. Registration for the event is OPEN and we expect 425 runners. May 10th is the registration deadline. After the 10th, the site will be taken down. There will be NO race day registration. No exceptions!! Bring a change of clothes and stay a while after you finish. We have great food and beer for all participants and spectators. Even take a dip in the spring fed pond at the finish!! !